Everyone knows that people in the interior design field are out for blood. Right? They’ll do anything to undermine their competition. They’re stingy with advice. Won’t divulge their sources. Won’t help other designers. Nasty, nasty! Well, sure, it probably exists, but for the most part, that has not been my experience at all! At least not in recent years. In fact, it’s the very opposite. Through facebook, trade shows and the fabulous Design Blogger’s Conference, I’ve met some of the loveliest people one could ever hope to meet. But first, a brief explanation. In truth, there was a time when people in the interior design field were not so forthcoming; so generous. But, it wasn’t because we didn’t care about our colleagues. It was because we worked in relative isolation. Three things happened about 8 years ago to change all of that. Our industry was thrown on its ear with the coming of the deep recession. Businesses closed and/or collaborations became a necessity to stay in business for many. Social media became a way to connect with people we otherwise would never have known. Vendors and trade shows opened up their doors to people in the interior design trade when formerly they were not so friendly. In other words, there were big changes and it is only in the last few years that many of us are finally feeling more comfortable in our new interior design skins. One of those fabulous new skins in its sixth season is the design blogger’s conference. As many of you know I attended it one week ago. What is the DBC? It’s an annual educational and networking conference specifically for people in the interior design industry. This awesome event is sponsored by famous home furnishing brands. And then, for the designers, are the fabulous speakers. Last year we had the likes of Alexa Hampton and Bunny Williams. This year Justina Blakeney and India Hicks rocked the house. Here we are at the Grand Hyatt in Atlanta, GA! Thank God I wasn’t asleep or yawning or something like that! If the young man next to me looks about 18, it’s because he is! His name is Kevin O’Gara and he’s still in high school! I nearly fell off my chair when he told me his blog is Thou Swell; LURV that blog and had no idea the author is a teen-ager! Proudly, I showed him one of my favorite photos on laurel home that I had used in a post about art walls. It’s his grandparents home. Great taste they have! And then, there’s Courtney Allison. I first met Courtney last fall at the High Point Market when we were on the design blogger’s tour together. She was also inducted into the Design Blogger’s Hall of Fame. This conference, she gave a fabulous talk about how designer’s collaborate with home furnishing brands. The reality is that it has become a necessity for many designers to develop multiple income streams in order to supplement their incomes. If there’s another recession, it could prove to be disastrous. After all, this is a luxury industry. That new sofa doesn’t seem so important if one is struggling to pay their mortgage. But aside from Courtney’s fabulous talk on being a brand ambassador, she has a beautiful interior design and lifestyle blog, French Country Cottage. Well yeah. She won her hall of fame award for best graphics and photography. She’s one talented lady! Oh, and super nice. Below are three gorgeous images (she’s also a talented photographer) of her giga-gorgeous kitchen. 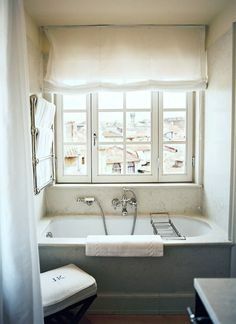 So French, chic, but also warm and homey! Her blog is filled with these types of images. Please check it out. Now, I’d like to feature some of the wonderful designers I was hanging with at the conference. Not only are these ladies incredibly talented, they’re THE nicest, most helpful people on the planet. While I’ve met most of them before, I know them best from a terrific group on facebook that’s open only to interior designers. 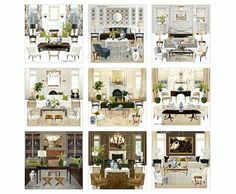 It’s an interior design community founded by another giant of generosity, the amazing Laurie Laizure. If you’re in the trade and would like to join, there is a public page which you can access in your FB search bar. From there you can message Laurie for access to the private page, or contact me and I can get you in. Amanda is a bubbly, energetic designer from Nashville, Tennessee. She’s an active member of our interior design group and she was recently selected to go on the High Point Design Blogger’s Tour next month. Her style is fresh, young, new traditional and transitional styles. She wrote a very interesting article about why everyone, not just designers should attend business conferences. Amanda wrote this popular post about Feng Shui Bedroom Basics. Since I don’t know as much about that, I thought you might be interested. A pretty bedroom vignette from Amanda’s portfolio. If you don’t know who Carla Aston is, you are definitely missing out. Carla is an amazing blogger that I’ve looked up to for years and an interior designer. She’s from Houston, TX. Her blog is full of wonderful advice and is a must-read. Her easy-to-digest posts are full of incredibly useful advice such as this one on how to cut your interior design budget. Below are two images from Carla’s portfolio. One of the things that Carla is known for is her the best of the best Pinterest Guide. It’s like a pinterest bible and definitely worth a look. I met Linda nearly a year ago at the Architectural Digest Show and since then we’ve been fast-friends. She’s the most amazing woman who has conquered vast obstacles with a grace that is very rare and a gorgeous, warm smile. Formerly a professional photographer, she has embraced a robust interior design business. Linda is in great demand for blog tours and is a member of this spring’s High Point Bloggers Tour. 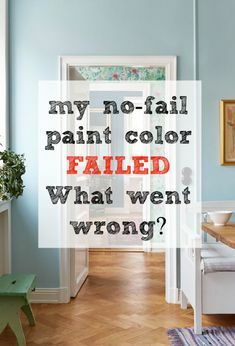 I love this post about where she warns not to make the same color mistakes she did. See? She’s an amazing photographer! Mitzi is the most beautiful woman God ever created. She has a master’s degree in interior design and so cleverly penned a book called Boomer Smarts. That’s because she’s one smart lady. It’s not really fair that so much beauty, smarts and talent lives inside one body, but alas she is also the most down-to-earth person you could ever hope to know. Lucky me, she’s going to be my roomie at High Point next month. I need the help! She knows High Point through and through and was on the Design Bloggers Tour with me last October. In addition, Mitzi was a Style Spotter in 2014 and is an in-demand speaker. How wonderful is this bright, airy dining room. 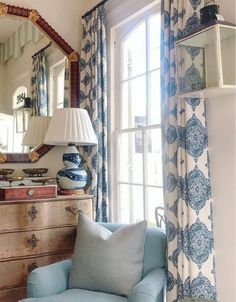 Love the colors and the pattern on the back of the chairs. I love that she used different portions of the pattern. I’d do that too. I’d like to close and give a nod to the other two winners of the 2016 Design Blogger’s Conference Hall of Fame Awards. I don’t know these ladies but I wanted to acknowledge their efforts and accomplishment. Great advice for anyone thinking about becoming an interior designer. The entire site is filled with the most amazing room, food and garden candy ever! Martha, move over and make room for Nora! And here we are! This week is the Architectural Digest Show again. Stay tuned for more news! Nick has asked me to pen a few posts for his new blog launching early next month. Really excited about that because it will give me a chance to write more about the business side of things which I don’t do as much here because I think y’all are mostly interested in learning other things. I’ll let you know when that goes live too! Oh, total switcheroo, but I just have to post this image that didn’t make the last post about staircases. Pretty staircase, huh? What about the horns sticking out several inches from the wall. haha! I feel very blessed to not only be recognized by my profession but to have made many friends with my inspiring interior design colleagues. Here’s wishing all of us much good health and prosperity. There’s plenty for all! And not only that, it’s become vitally important to support one another. Those that don’t, lose out. Your sense of humor cracks me up! I enjoyed meeting you at the DBC and I will be at High Point as well this Spring. Hopefully, I will see you and tell Mitzi “hello” from me. Love that lady! Thank you Laurel, I enjoy all of your posts, and I’m embarrassed to own the title of “lurker.” Going forward it is my intention to comment and thank you for your efforts that I always come away with appreciation and more often than not, enlightened! That made me laugh a little. First of all “lurker” sounds like some pervy dude hiding in the bushes. And that’s hardly the case. Besides if you’re lurking, then so are thousands of others because only a very tiny number reading actually comment. So, you’re in great company. But it’s always nice to hear from people and get feedback. Yes, you are right Angela. I have seen a few situations where they don’t get it. Invariably, they are super-talented but very insecure.